The 7th International Conference on Petroleum and Petrochemical Engineering (ICPPE 2020) will be held in Ho Chi Minh City, Vietnam during January 6-8, 2020. It directs towards addressing main issues as well as future strategies of global energy industry. This is going to be the most promising international conference where petroleum and petrochemical engineering (eg. oil and gas engineering) professionals as well as decision makers will come to discuss and debate on various aspects of the challenges, risks and investment opportunities throughout the complete integrated energy and utilities supply chain. Petroleum and Petrochemical Engineering is a field of engineering concerned with the activities related to the production of hydrocarbons, which can be either crude oil or natural gas. 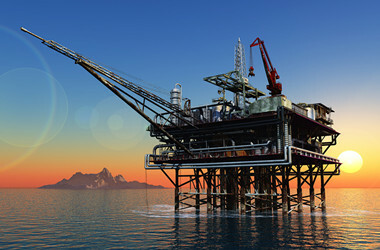 Exploration and Production are deemed to fall within the upstream sector of the oil and gas industry. Exploration, by earth scientists, and petroleum engineering are the oil and gas industry's two main subsurface disciplines, which focus on maximizing economic recovery of hydrocarbons from subsurface reservoirs. 2019-03-10 ICPPE 2020 will be held in Ho Chi Minh City, Vietnam during January 6-8, 2020. 2019-01-08 ICPPE 2019 program is available. .
2018-05-07 ICPPE 2019 submission opens now. 2018-01-17 ICPPE 2018 was successfully held in Bali, Indonesia. All participants enjoyed the conference and the aceademic visit in Udayana University, Indonesia. 2017-12-30 ICPPE conference program is ready. 2017-08-12 We will visit Udayana University, Indonesia on January 16, 2018. 2017-08-10 ICPPE 2018 will be held in Kuta Central Park Hotel.